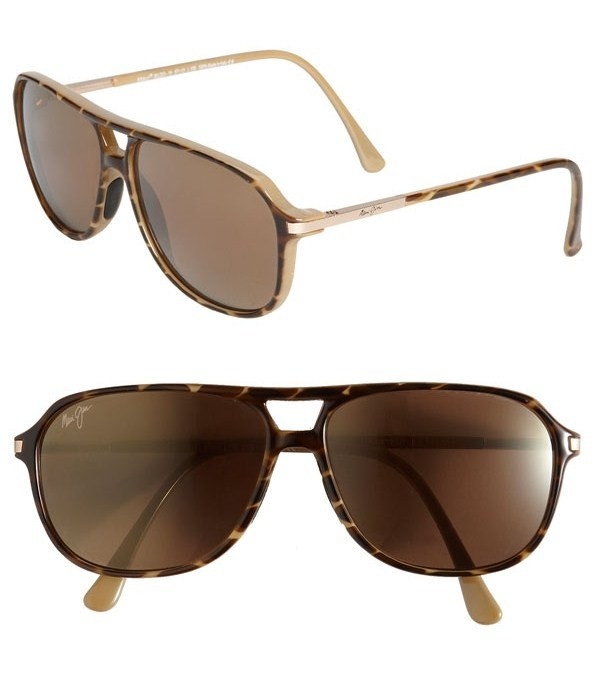 Maui Jim goes back in time with these retro-inspired ‘Dawn Patrol’ aviator sunglasses. The lightweight shades feature scratch and glare-resistant lenses, so they’re durable in addition to visually appealing. Available in tortoiseshell, you can get them online now. This entry was posted in Sunglasses and tagged Dawn Patrol, Maui Jim. Bookmark the permalink.